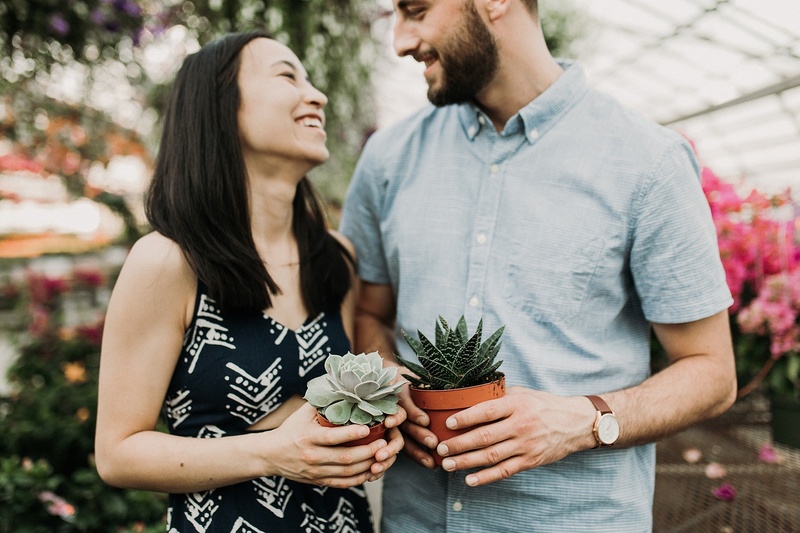 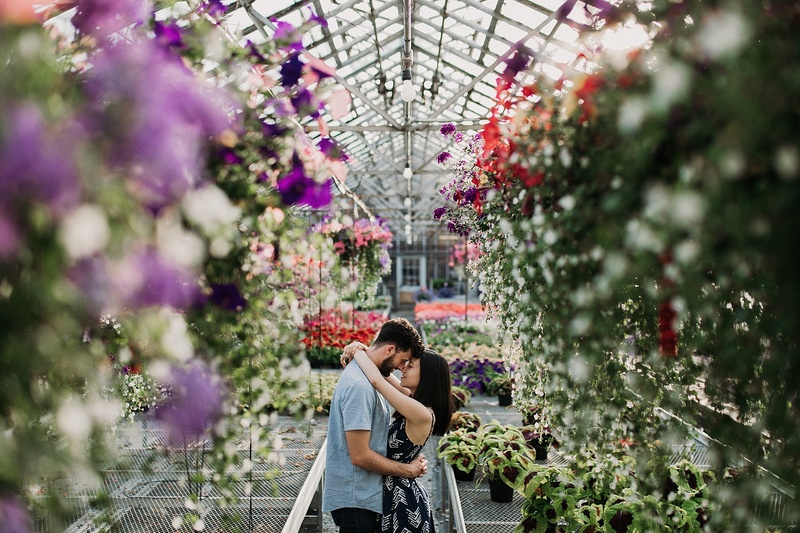 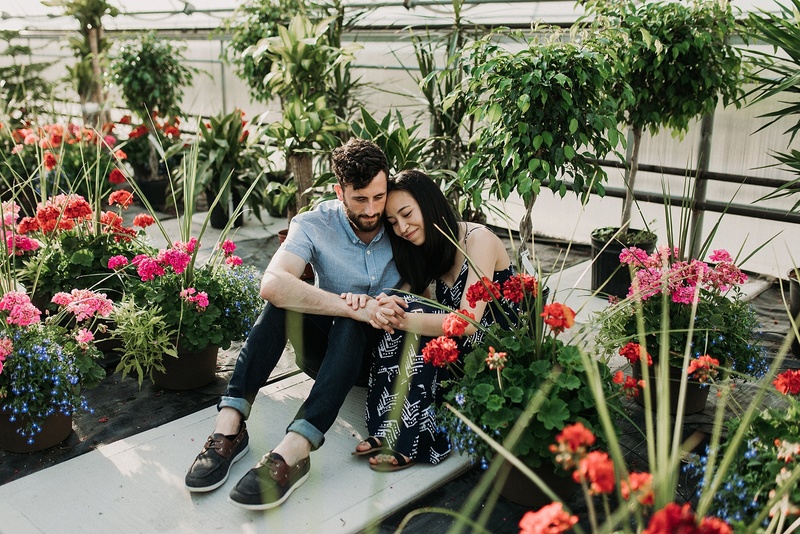 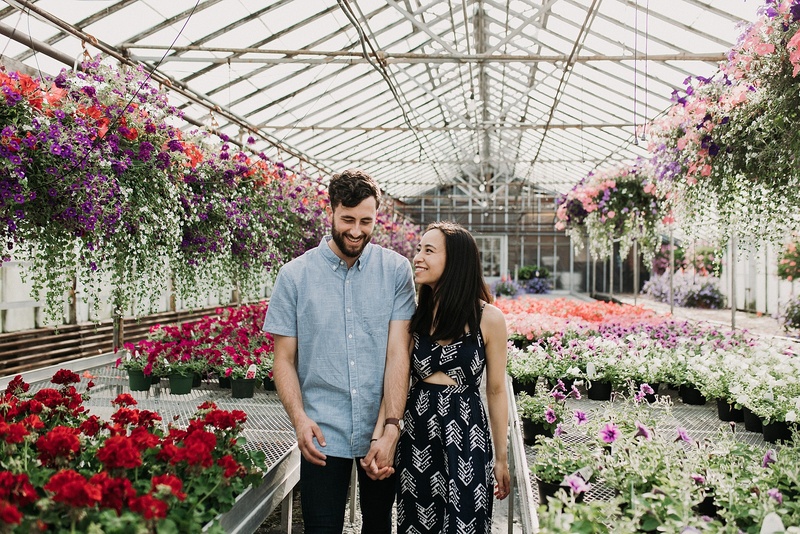 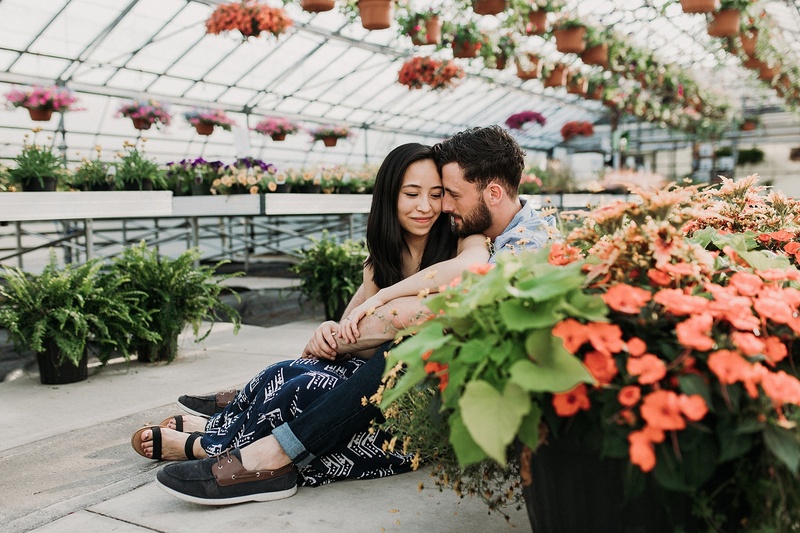 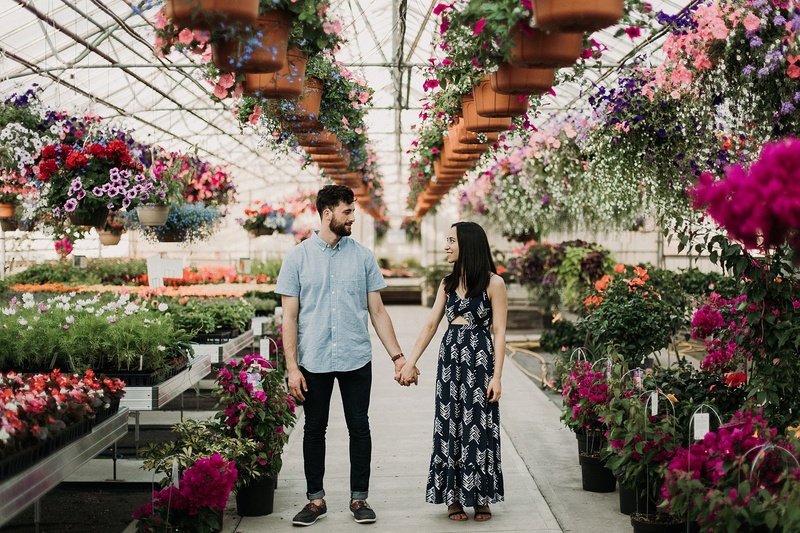 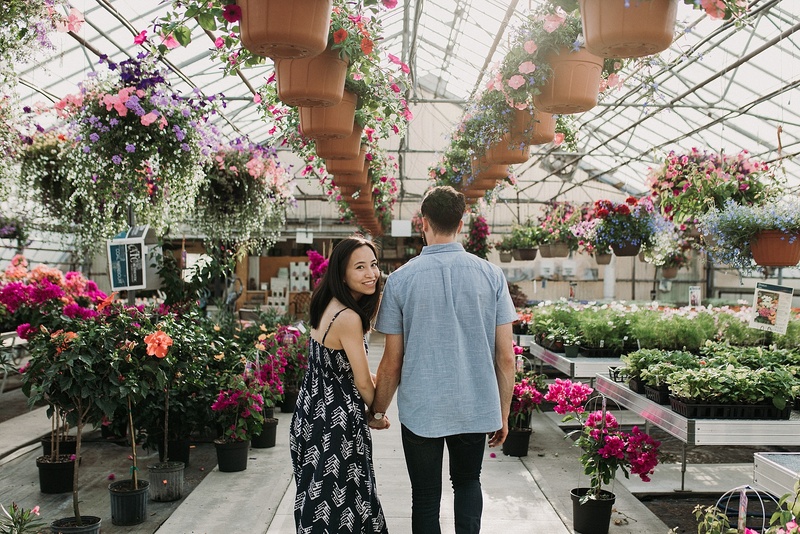 I just love these bright, spring-like images from Ally and Mitch’s greenhouse engagement session! 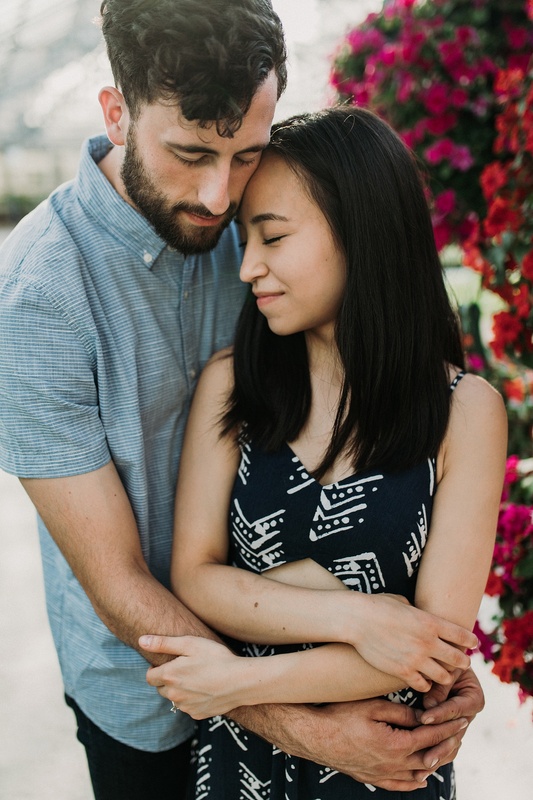 Ally and Mitch are both super busy with their different work schedules, so it took us a bit of time to schedule something that worked for both of them. 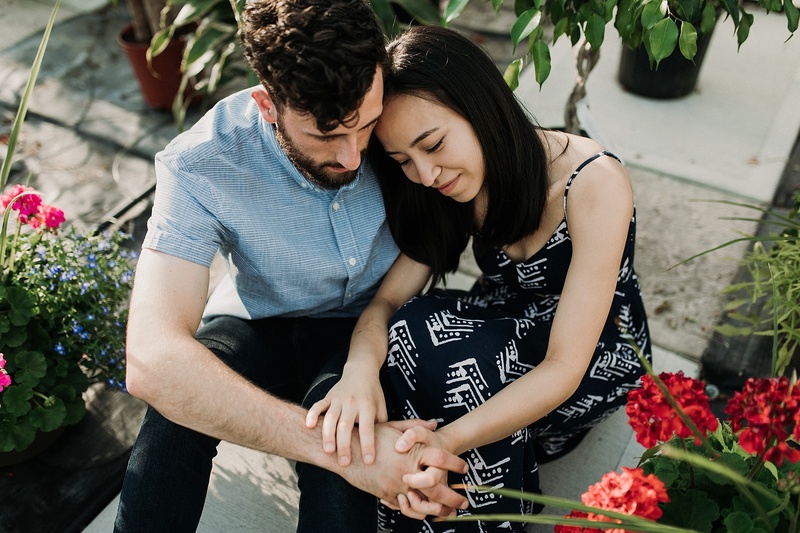 However, we managed to fit their engagement session in just under the wire (we shot this just three weeks before the wedding). 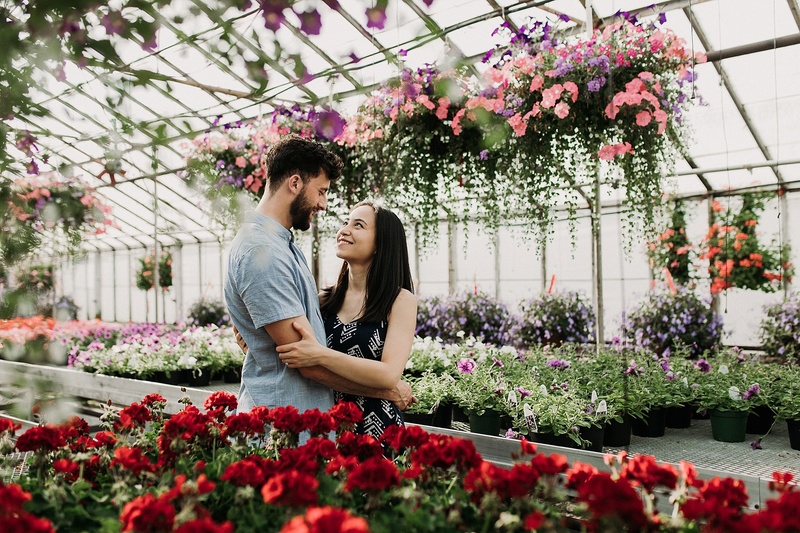 And I am so glad we did because this session was nothing but fun!